Great results in air cooled engines, safer for the equipment operator, API air engine oil service classification of TC, Fluidity Grade 3, increased engine life. No Smoke Two Stroke meets the most severe API air cooled engine oil service classification of TC, and it meets the SAE Miscibility/Fluidity Grade 3. The flash point is 265 degrees F. It is formulated to mix with unleaded gas. 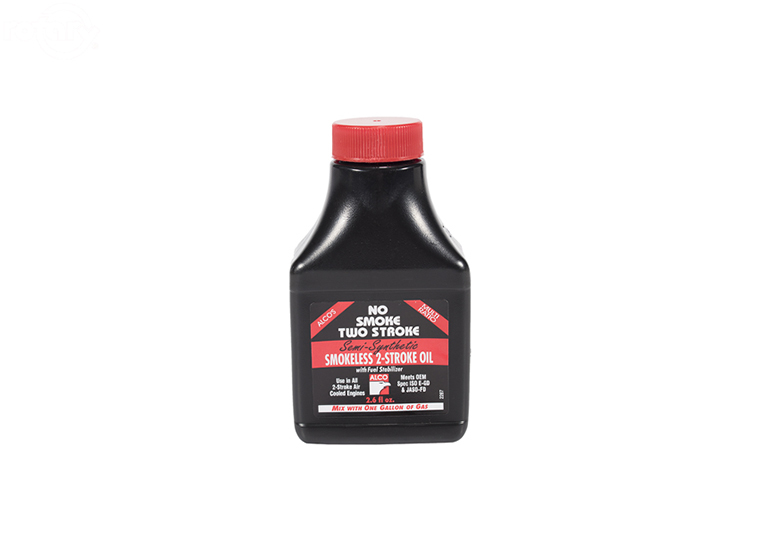 No Smoke Two Stroke is a multi-ratio product and gives excellent results in all air cooled two-cycle engines regardless of manufacturer's suggested mixing ratio. We Know Walker Mowers ! Have a Service Question? Email us, We're here to help! Copyright ALLWALKERPARTS.COM. All Rights Reserved. powered by 3dcart Online Store Software.